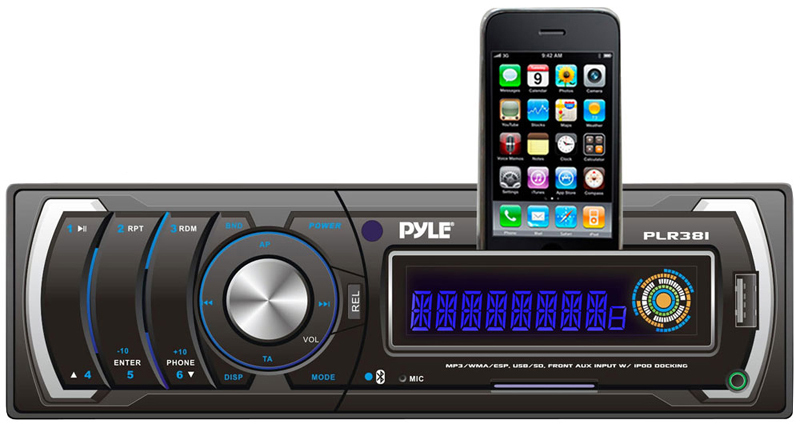 This headunit from Pyle has an awesome feature -- a pop-out dock that lets you charge and play music from your iPod or iPhone! It’s also equipped with an AM/FM radio, USB/SD ports for your digital music, and an 3.5mm aux-in jack on the front to hook up any other digital music player. The screen displays ID3 tags, relevant track info, and lets you move between songs. Adjust the tone, tuning, and volume with the rotary controls. Outputs 50 watts over 4 channels for 200 watts max.